I’m demonstrating software this afternoon, so out comes the demo bag. 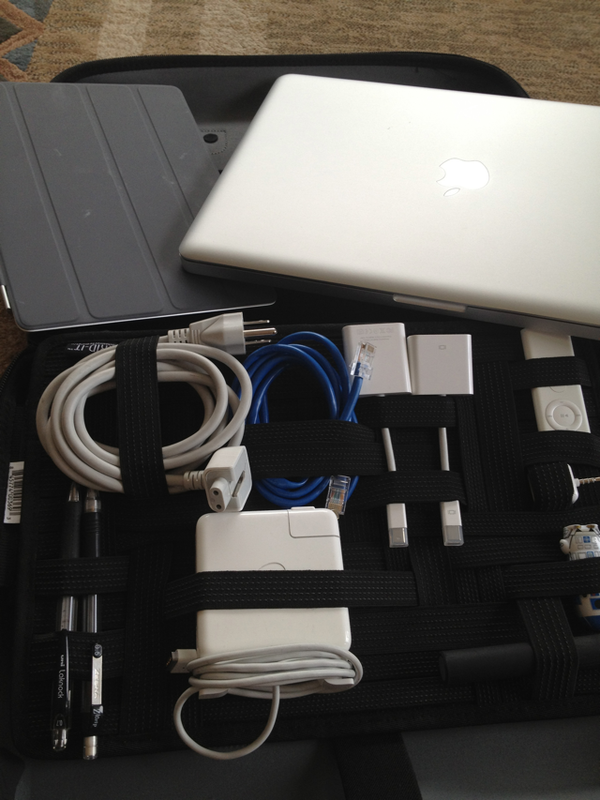 It’s a Cocoon 15" GRID-IT™ Case (not an affiliate link) that I picked up at the local Apple store. The only negative is that the shoulder strap squeaks in the shoulder pad when I walk. But I can live with that. Of course, engineer me has yet to find the optimal layout of accessories on the actual grid. But the benefit of being able to see and grab an item instantly, just love it.